Powerful opiate drugs are a mainstay in modern medicine, alleviating pain in both acute and chronic forms. These charms however, bear a curse. Users quickly develop tolerance to their effects, requiring ever-increasing doses of the drug. Further, such opioid compounds lead to drug dependence, owing to their notoriously addictive qualities. Their efforts pave the way for the development of powerful new analgesics, capable of blocking pain without generating tolerance or dependency. Their research findings appear in the current issue of the journal Nature Structural and Molecular Biology. The international research group was led by Gustavo Fenalti (formerly of the Scripps Research Institute, now with Celgene Corporation, San Diego, California) and includes researchers from the laboratory of Raymond C. Stevens with the University of Southern California, as well as members of the SLAC National Accelerator Laboratory; Center for Free Electron Laser Science; Deutsches Elektronen-Synchrotron (DESY)-Hamburg, Germany; and others. Opioids figure among the oldest known drugs, their therapeutic uses dating to prehistory. Such compounds are structurally similar to morphine and other natural alkaloid derivatives of the opium poppy. They work by binding to various opiate receptors, located primarily in the central and peripheral nervous systems and the gastrointestinal tract. While this much is known, many mysteries remain regarding their precise mode of action (and their troublesome side-effects). Opioid receptors belong to a large protein family known as G protein-linked receptors. These sensing molecules outside of cells trigger a cascade of cellular responses that affect the brain. When an opioid binding agent, called a ligand, binds with a receptor, the result is a dramatic attenuation of pain, often accompanied by a sense of intense euphoria, (a fact accounting for the popularity of opioid drugs, including opium and heroin, for recreational use and abuse). Fromme’s group has a led a major initiative to better understand this protein family using a powerful new X-ray laser technology. Three primary opioid receptors are known to bind with various naturally-occurring opioids produced by the body. A more thorough understanding of these naturally-occurring opioids and their receptors is essential for drug discovery of new pain analgesics with more desirable properties. Researchers hope to create synthetic opiate ligands, capitalizing on their powerful analgesic properties while reducing or eliminating side-effects. The current study examines a particular opioid ligand which has already shown considerable promise as a tolerance-free, dependence-free analgesic. X-ray crystallography has been a vital tool for revealing the structure and function of a wide variety of biological molecules, including drugs, vitamins, proteins and nucleic acids, such as DNA. The technique remains a primary method for characterizing the atomic structure of new materials and their properties – key ingredients in the eventual design and validation of new pharmaceutical drugs. One shortcoming of traditional X-ray crystallography is that X-rays can damage or destroy the delicate crystal structures under investigation. The current study used a pathbreaking method known as serial femtosecond crystallography using a device known as an X-ray Free Electron Laser (XFEL). The use of XFEL allows much smaller crystals to be used, capturing critical structural information before the sample is destroyed. In the current study, the team used serial femtosecond crystallography to observe peptide-receptor interactions essential for developing a complete pharmacological profile of opioid peptides, and development and refinement of improved analgesic drugs. The XFEL method provided unprecedented structural details revealing new molecular determinants of peptide interaction and identifying a key structure contributing to a particular ligand’s activity. Analysis of that ligand presents a platform for the examination of numerous peptides with pharmacological properties, including new ligands for the management of pain. 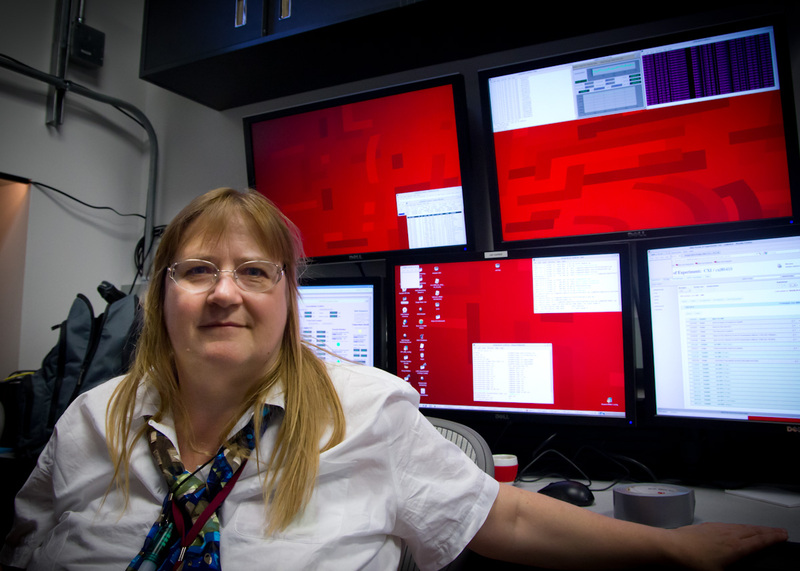 In addition to her appointment at the Biodesign Institute, Fromme is a professor at ASU’s Department of Chemistry and Biochemistry. 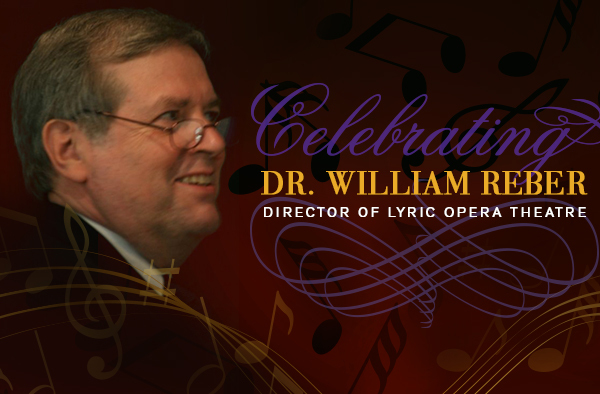 The announcement of William Reber’s retirement from his position as director in May 2015 signifies the end of an era for the ASU School of Music’s Lyric Opera Theatre (LOT). Since 1992, Reber has overseen more than 100 music theatre and opera performances. The LOT is a community with a history of dedicated people who have worked with the program for long periods of time. As a testament to this longevity, there have only been two artistic directors since the program’s inception 24 years ago: Kenneth Seipp and Reber. Reber’s dedication has made the program grow in both size and excellence during his time as director. He believes his greatest accomplishments at ASU include developing the conducting programs in musical theatre and opera, which are two of only a few in the U.S. to address the specific knowledge required to be a successful music director for musical theatre or conductor in the opera pit. As a combined program, LOT is unusual in that it produces both musicals and operas, allowing students to work in both areas and discover their true interest and talent. Reber’s leadership and focus on creating a positive experience for all students has made an indelible mark on the lives of the people with whom he has worked. The ASU School of Music is holding a celebration in honor of Reber, beginning with the LOT performance of Benjamin Britten’s opera “Owen Wingrave,” at 2 p.m. on March 1, followed by a reception on the School of Music 3rd floor patio. The next day, on March 2, the festivities will continue with a gala concert featuring performances by faculty, current and former students from the LOT and vocal programs, at 7:30 p.m. at the Evelyn Smith Music Theatre. Founded in 1964, LOT celebrated its 50th anniversary season during the 2013–2014 academic year. LOT presents five shows per season: two operas and two musicals and one student musical production. A search is currently underway to select Reber’s replacement.